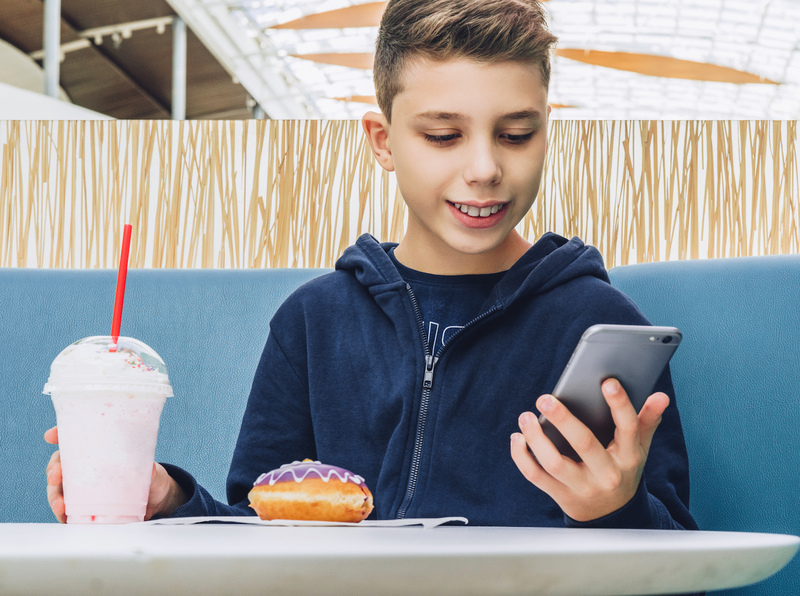 New University of Liverpool research, published in Pediatrics, highlights the negative influence that social media has on children’s food intake. Current research shows celebrity endorsement and television advertising of unhealthy foods increases children’s intake of these foods. However, children are increasingly exposed to marketing through digital avenues, such as on social media, and the impact of marketing by YouTube video bloggers (vloggers) on these outcomes has, until now, not been known. According to a recent report by Ofcom children in the UK now access social media more than ever before. Approximately 93% of 8-11-year-olds go online, 77% use YouTube and 18% have a social media account. In older children (12-15-year-olds), 99% go online, 89% use YouTube and 69% have a social media account. Both age groups watch YouTube vloggers. PhD student Anna Coates, from the University’s Appetite and Obesity research group, conducted a study to examine the effect of social media marketing of snack foods (healthy and unhealthy), via vloggers’ Instagram pages, on children’s snack intake. During the study 176 children, aged between 9 and 11 years, were randomly split into three equal groups and were shown artificially created, but realistic, Instagram pages of popular vloggers (each has millions of followers). One group was shown images of the vlogger with unhealthy snacks, the second group was shown images of the vlogger with healthy snacks and the third group was shown images of the vlogger with non-food products. The participants’ subsequent intake of snacks (healthy and unhealthy options) were measured. Children in the group that viewed the unhealthy snack images consumed 32% more kcals from unhealthy snacks specifically and 26% more kcals in total (from healthy and unhealthy snacks) compared with children who saw the non-food images. There was no significant difference in total kcal intake, or healthy snack kcal intake, between children who saw the Instagram profile with healthy images and those who saw the non-food images. Of the study Anna Coates, said: “These findings suggest that the marketing of unhealthy foods, via vloggers’ Instagram pages, increases children’s immediate energy intake. The results are supported by celebrity endorsement data, which show unhealthy food endorsements increase children’s unhealthy food intake, but healthy food endorsements have little or no effect on healthy food intake.